I had so much fun putting this journal together! I have several journals from a previous employer who was changing their logo. All the journals were going to be tossed out, but I rescued them from their ill fate and finally got around to upcycling one into something beautiful. They are plain lined journals with a clear plastic cover, pefect for embellishing! I absolutely adore this paper from the Sweet Sorbet Designer Series Paper pack. 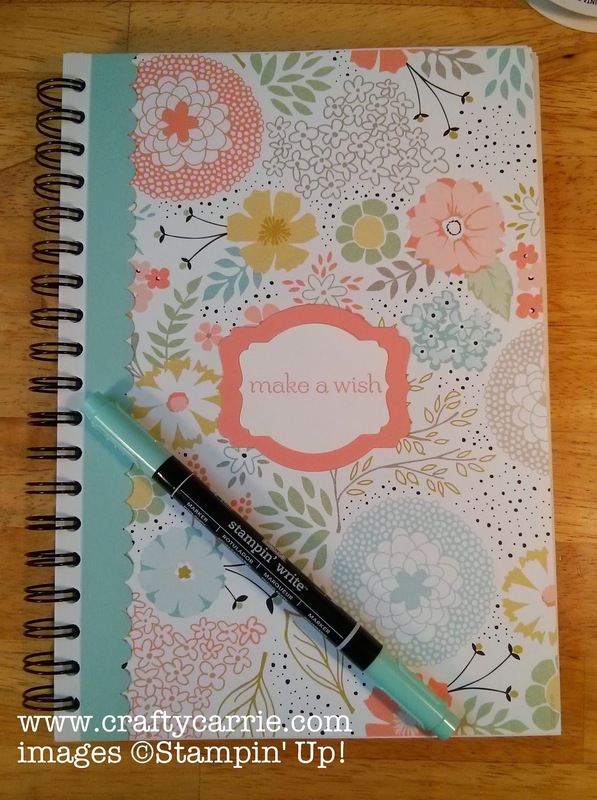 It's just so springy and cheerful, I felt like I would be happy to use such a lovely journal to write about both the ups and downs of my day. The best thing about this paper is that you can get it FREE with any $50 order through Sale-A-Bration going on now through March 31, 2014. Stamps: Sweet Essentials - Wood, Clear, or German!